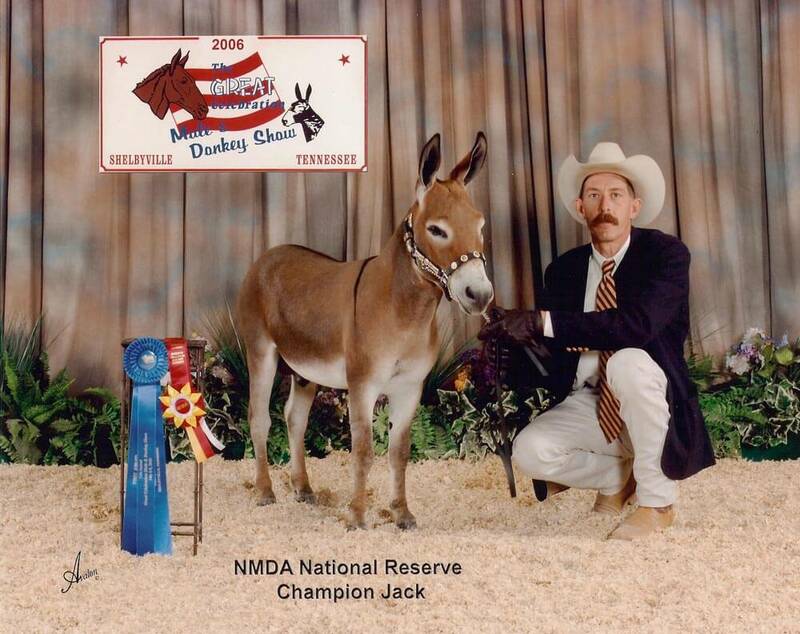 Short ASSets Starfire- This phenomenal sorrel jack has nine Grand and/or Reserve Grand Champion titles including his 2006 NMDA National win! His compact frame, exceptional back legs, and showy presence has consistently placed him in the top three of his class during his entire show career! Junior Herdsire: FLMD Touch the Clouds. Dark spotted jack with lots of potential. 2015 ACOSA National Champion Jack. Will be breeding in 2015. Outstanding jennets ranging from foals to breeding age, some used in our own breeding program. Also, some young boys that would make wonderful herdsires or exceptional geldings. Check the website for new listings or give us a call to discuss donkeys we have for sale that may not be listed on the website.